Renata Tebaldi is said to lack Callas’ and Sutherland’s range and versatility. But who cares? 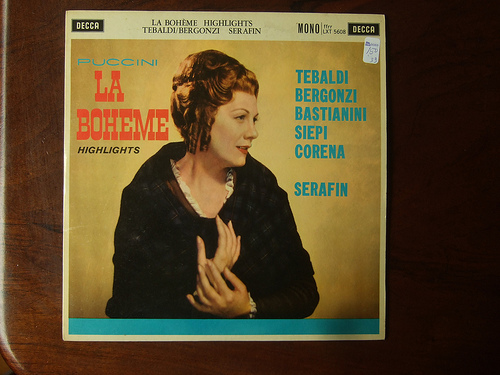 If you are not into Opera and sopranos get this record (Decca LX5608) and play with a mono cart. Good introduction from my perspective! PS: Thanks W for this one! ‹ PreviousEMT 927 & R80 "The Bearing and Platter" Size matters?